A nice clean 1938 signature, unmistakable with his distinctive style, and underscored with his famous 3 dots and line. 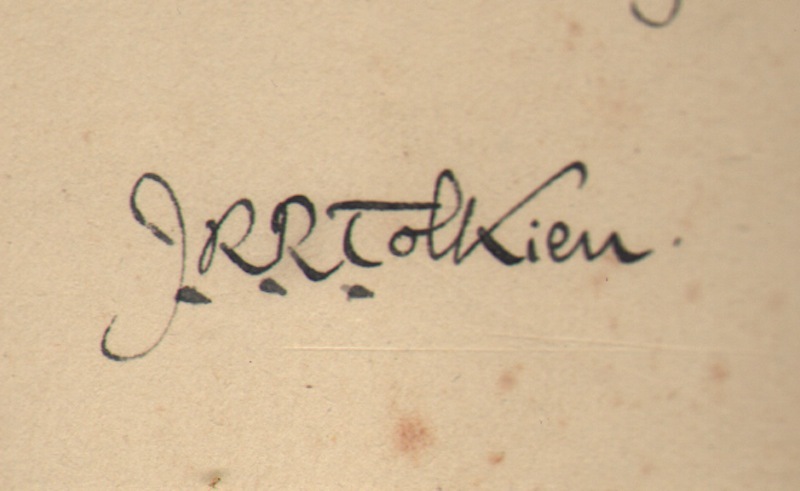 This autograph dates from one year after the publication of Tolkien's most famous book The Hobbit. 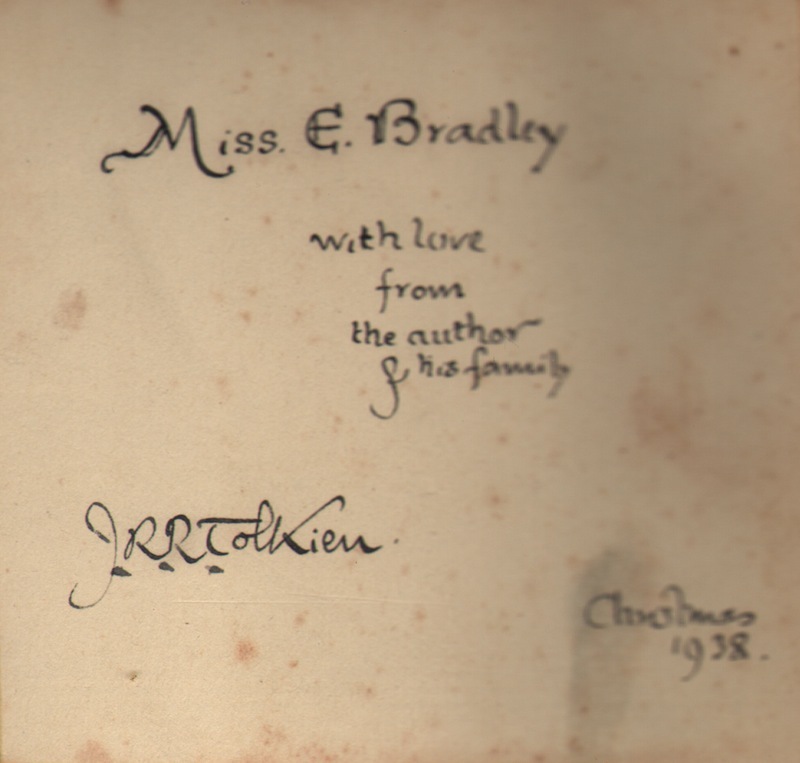 This is a dedication to Miss E. Bradley "with love from the author & his family" signed J.R.R. Tolkien, Christmas 1938. 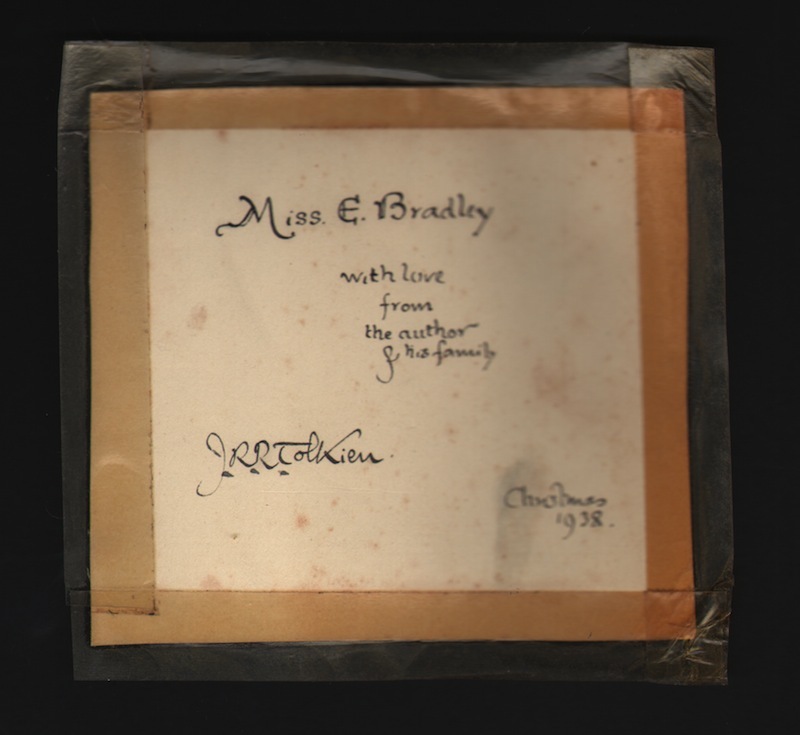 This paper is addressed to Eleanor Bradley, daughter of Henry Bradley, who herself spent many years on the staff of the OED. It is however remarkable that it was found stuck in a later edition copy The Hobbit. It has now been carefully removed and is being sold in this unrestored condition. None of the sellotape has been removed and ready for a carefull restoration.